Echuca Animal Rescue Service is a community-based, not for profit, organisation focused on fostering and rehoming of companion animals. We do not have a shelter and all our animals are taken care of in foster carers homes until their adoption. It is our mission to nurture, carry out required veterinary work and place our companion animals in appropriately selected homes. Expression of interest form will be emailed to you and must be completed prior to "meet and greet" with accompanied photos to show where the animal will be residing. E.A.R.S. may request a property inspection before adoption is finalised. Paddy is the quietest of all 3 kittens in her litter. She loves to nap in the sun and joining in with her brothers playing. She just loves to cuddle. She and her siblings are part Manx, but Paddy is the only one with a part tail. She has been constantly handled by kids so will make an amazing addition to any family, and has lived with other dogs and older cats. 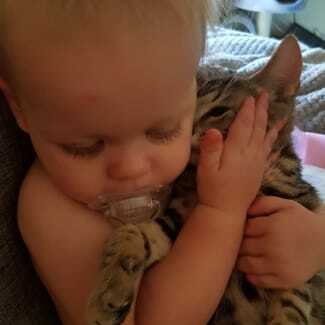 We know that some of these photos are sure to melt your heart and in one of these photos you can see that she is feeling sad because her little buddy isn't well. Just what you need when you aren't feeling well, a sympathetic kitten! And just what YOU need to enrich your life; a caring, snuggly kitten that will be by your side through healthy days and unwell days. Sammy is part Manx and is the first one in his litter to wander into unknown places. He loves to discover new things and climbing and playing. He also loves a cuddle at the end of the day. He has been constantly handled by kids so will make an amazing addition to any family, and has lived with other dogs and older cats. We know that some of these photos are sure to melt your heart and in one of these photos you can see that he is feeling sad because his little buddy isn't well. Just what you need when you aren't feeling well, a sympathetic kitten! And just what YOU need to enrich your life; a caring, snuggly kitten that will be by your side through healthy days and unwell days. Tigger and Bella, along with their brother Ninja, were found in a box in the bush! They are so lucky to be alive and are now living happy and healthy lives. Their foster carer realised that this experience had created an amazing bond between them, because recently when little Ninja was adopted his siblings showed signs that they were missing him. It was decided then that they need to be adopted together. In order for this to happen we have reduced their adoption fee to only $50! "These little rascals love getting into mischief; love walking across the keyboard while I am trying to send messages! They love being with a human and constantly follow me around. Tigger and Bella take a great interest in the dogs outside and enjoy watching them. They love their food; can food, pouches and especially chicken mince. 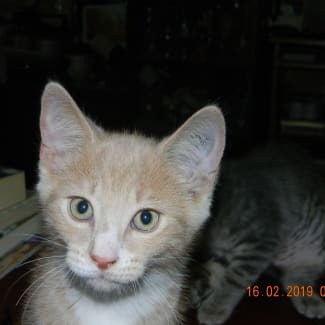 They have been well socialised with household noises and activities, kitty litter trained, socialised with household pets which can include other cats, dogs, rabbits and even birds, even put in an outside pen for a couple of hours each day to get used to outside noises. Tigger and Bella both have the best little purr motors!” So when you adopt one of our kittens you can be assured that you are bringing into your household a well adjusted little mate. Bella and Tigger, along with their brother Ninja, were found in a box in the bush! They are so lucky to be alive and are now living happy and healthy lives. Their foster carer realised that this experience had created an amazing bond between them, because recently when little Ninja was adopted his siblings showed signs that they were missing him. It was decided then that they need to be adopted together. In order for this to happen we have reduced their adoption fee to only $50! "These little rascals love getting into mischief; love walking across the keyboard while I am trying to send messages! They love being with a human and constantly follow me around. Bella and Tigger take a great interest in the dogs outside and enjoy watching them. They love their food; can food, pouches and especially chicken mince. They have been well socialised with household noises and activities, kitty litter trained, socialised with household pets which can include other cats, dogs, rabbits and even birds, even put in an outside pen for a couple of hours each day to get used to outside noises. Bella and Tigger both have the best little purr motors!” So when you adopt one of our kittens you can be assured that you are bringing into your household a well adjusted little mate. We are offering a fantastic opportunity, to the right 'furever family' who we know is out there, a VERY special adoption deal to give these two sweet little fellas a chance at a loving furever home; TOGETHER. You see, these guys have well and truly bonded, well, they ARE brothers, and need to be adopted together. You understand don't you? How could anyone split them up? This is their story: JASPER AND RANDEL 😊 "What a joy these two boys are! 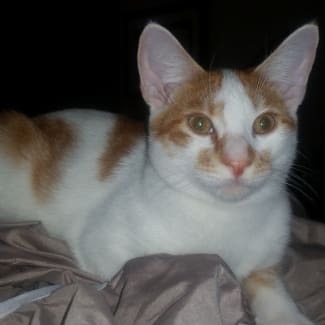 Jasper is a beautiful combination of ginger and white male who is 5 months of age. Initially a quiet kitten, but once he gets to know you his confidence grows. Jasper is a gentle boy who loves playing with his brother Randel. 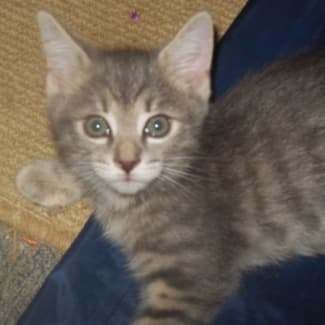 And Randel is an affectionate and very playful kitten, who enjoys pats and gentle cuddles. They are our little shadows. 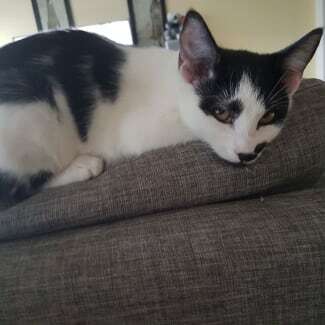 They have to know where you are at all times, although they share their love and fun with the other pets, and get on so well with other kittens. They play until they drop, all worn out, and then sleep, sometimes where they had been playing, until all batteries are recharged. Then they are up and off again. Jasper and Randel have had all their vet work done. Even though we will miss them dearly we want their new family to enjoy their love and funny antics." We are quite sure that whoever the lucky ones are to adopt these guys, that they will have a lifetime of affection and entertainment from these beautiful boys. SO HERE IT IS; THE SPECIAL DEAL! Because they need to be rehomed together, the adoption fee is ONLY $50!! So if you don't want to miss out on this amazing opportunity, please contact Judy on 0466 983 674 for a chat. Well it really IS too good to miss!